The Luxury Alchemist © by Ketty Pucci-Sisti Maisonrouge, published by Assouline and debuting Fall 2013, is the ultimate guide for anyone aspiring to create or grow a luxury brand. With an in-depth analysis of the ever-evolving luxury market to the Magic Ingredients needed to launch a luxury brand, this title also features intriguing stories from leading companies such as Hermès, Louis Vuitton, Cartier, Daniel Boulud, Loro Piana, John Hardy, J. Mendel, and Reem Acra. With a second section taking readers through two up-and-coming start-ups, Savelli and Virgin Galactic, The Luxury Alchemist © is the definitive expert's manual for luxury aficionados everywhere. 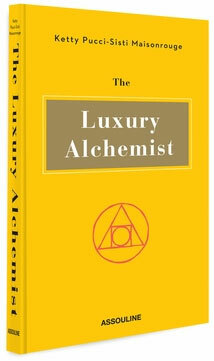 "The Luxury Alchemist is a fascinating read! Ketty has great entrepreneurial spirit and offers a unique perspective on what it takes to create a true luxury brand. This book is perfect for anyone wanting to know how to transform ideas into a successful and enduring brand. " - Leonard A. Lauder Chairman Emeritus of The Estée Lauder Companies Inc.
"From fashion to technology to space travel, luxury exists or can be created. The Luxury Alchemist brings us on a journey from the glorious past to the dynamic future, defining the essence of what it takes to be the very best." 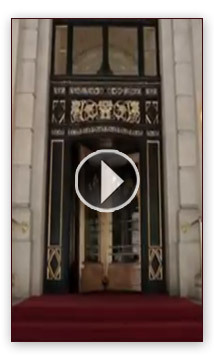 - Robert Chavez, President and CEO Hermès of Paris Inc .